I’ve only read one of Martha Wells’ books before, but that was enough to make me a fan. 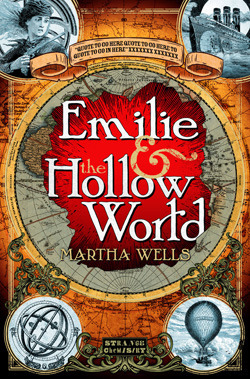 Compared to that one, City of Bones, Emilie & the Hollow World is a much more simplistic story, but I still enjoyed it a lot. 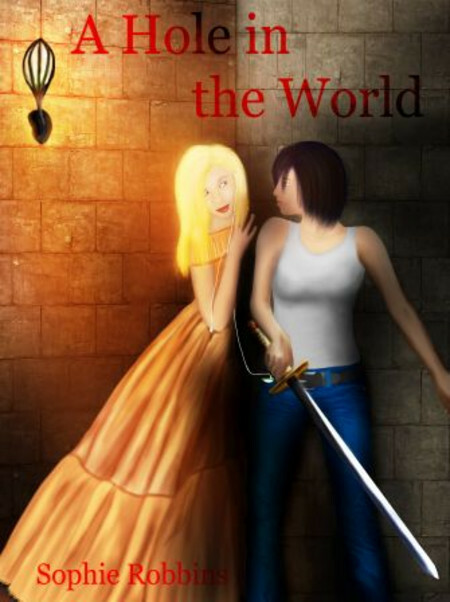 Someone described it as a “girl’s own adventure” story, which I think is pretty accurate. The main character Emilie is resourceful: I don’t understand people who are criticising it saying she spends the first half of the book just following people around. She runs away from home, stows on board a ship, saves someone’s life with impulsive action, and immediately starts making sensible suggestions to the crew of said ship. Now, if you were to say she’s a bit wish-fulfillmenty, well yeah, maybe. But heck, I loved Emilie’s adventures and her resourcefulness; I don’t see why it should be odder for a girl to be plucky and resourceful than for a boy. There’s also people complaining that she doesn’t act like a Victorian girl, but… this isn’t meant to be set in the Victorian period? It’s plainly another world entirely, for all that the vaguely steampunkish trappings might make you think it’s just alternate Victoriana, and there’s a hint of Victorian-ish morals around Emilie’s family. Still, those’re parallels; that doesn’t mean Wells has to stick with it. Which brings me to another point I really liked — the world-building. I expected that, from the standard City of Bones set, and while this is lighter, that imagination is still there. I loved, for example, the half-underwater city. I don’t think I’ve ever come across anything quite like that before. There’s other stuff to appreciate, too, like the casual flipping of gender roles where Rani talks about Kenar pining for her, and when they reunite, she spins him around in her arms! Overall, very much looking forward to my ARC of Emilie & The Sky World. 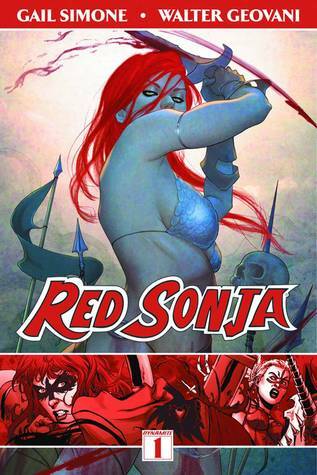 I’ve heard of Red Sonja before, though only as a really sexist comic character that didn’t sound at all appealing or interesting. I remember the arguments and debates around the SFWA Bulletin cover that was a tribute to Red Sonja in all her chain mail bikini glory: looking at it now, the cover itself seems less offensive, but the defence of it by Mike Resnick and Barry N. Malzberg remains completely offensive. Gah. Need to get that bad taste out of my mouth. So I’ll talk some more about Gail Simone! I’d heard of her work on other comics, but I hadn’t read anything she’d worked on yet, so I was very curious about this. I love that she’s taken this sexist character and surrounded her with other women, peopled the world with strong women who in various different ways support each other and make the world a better place. There are some good male characters, too, but the focus is definitely on women — and women as protectors, as fighters, as able to fight for themselves. Sonja herself isn’t the most likeable character in some ways: if she chooses to wear that chain mail bikini, for one thing, her taste has got to be terrible. She’s uncouth and she drinks a lot and she glories in violence. But… she’s also honourable, brave, capable of love. Her origin story isn’t anything particularly special, and maybe I wouldn’t find this book so good if I wasn’t so well aware of the sexist past behind it, but I did really enjoy it, and enjoyed seeing the range of female talent that went into making it. 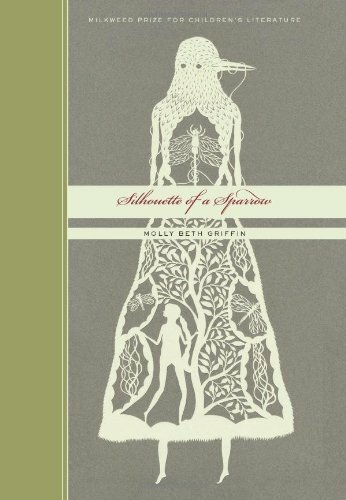 Silhouette of a Sparrow is a quiet little LGBT coming of age story, set in… the 1920s or so? Garnet, the main character, has a passion for birds, a vague hope of going to college, and a summer to spend away from her family. She falls in love with a flapper, decides not to marry the boy who’s waiting for her back home, and sets her sights on going to college. While there is drama in the story — Hannah’s outburst at her mother, thunder and hail storms, even a fire in the hotel where Garnet is staying — none of it really did much for me. It’s an introspective story, and that kind of thing didn’t seem to fit; I was much more interested in the quiet parts, Garnet cutting out bird silhouettes and thinking of her father, trips out on the lake, the quiet triumphs in Garnet’s life like getting a summer job and convincing her employer not to sell feathered hats anymore, etc. The relationship between Garnet and Isabella is almost unnecessary, when you view it that way: a friendship between them would be enough. But then of course you remember how little there is in the way of LGBT fiction and especially teen LGBT fiction — I at least felt much less inclined to go bleh at the inclusion of an “unnecessary” romance when I thought about that. The ending fits the story well — a mixture of the bitter and the sweet, some hope and some disappointment, maybe even some fear. It leaves a lot open, but that’s alright. I think people are wrong when they say this book is out of date. Many of the feminist issues Russ engaged with are still with us today, the double-standards women are held to and the things men expect of them. That part of the book seemed perfectly reasonable to me: a little out-dated, perhaps, as all of this sort of thing will become in just a few decades, but not irrelevant. The story, however… I found it incomprehensible, buried under the weight of the feminist concerns and issues raised. I would rather have read the story and the examination of the role of women separately, I think. 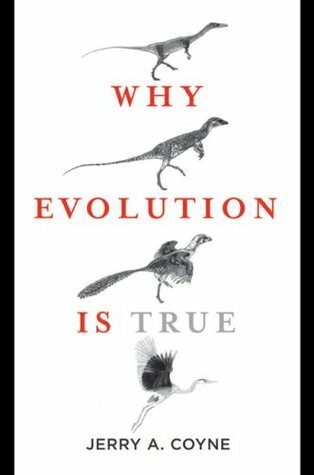 For me, I came to this book expecting a classic of science fiction, and to be honest, it doesn’t seem like there’s much. It’s a thought experiment, which can be done in literary fiction just as well (better?). 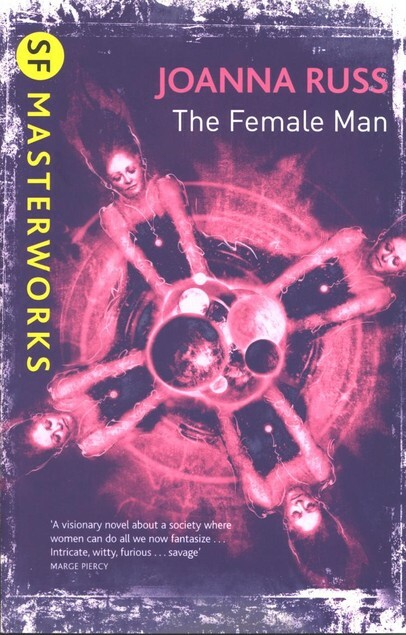 I’m a little uncomfortable with it being relegated to the class of science fiction, in a way, instead of being read as a classic in general. So often that’s used as a way to minimise the importance of a work: oh, quaint old genre fiction, rather than oh, social commentary. Those of us in the genre know how powerful a tool it is when used to examine society (and if you don’t, may I introduce you to the works of Ursula Le Guin? ), but in academic circles… we’re starting to see more work on genre fiction — part of my MA was on Tolkien, and mainly on his fiction — and there’s been some good work on fantasy and SF, but it’s not as if any of that is even approaching “the canon”. I almost feel like rereading this in an annotated version, or a Norton Critical Edition, would help me appreciate it more. But just on the merits of it as a story… no, I can’t say it did much for me. Didn’t expect to read this book so soon or all in one go, but I was having trouble sleeping, so I figured, why not? It’s very obviously a cousin of Sayers’ Lord Peter (Campion could, in fact, be Peter’s cousin), although in a more satirical vein. Albert Campion is a pretty close analogue of Peter Wimsey, complete with a number of idiosyncrasies, and Lugg (although of a decidedly more criminal bent than Bunter) shares some characteristics with Lord Peter’s man. It’s still fun, even though it’s more or less mocking one of my favourite series in many ways — it manages to be a story on its own, too. It didn’t involve me emotionally, but I did read it straight through, in one go, so there’s that going for it. 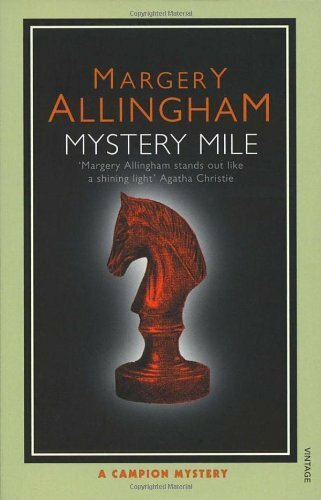 I did find the mystery a little bit disjointed/incoherent: it helped that I’d read a summary somewhere before, but some of the events seemed pretty random. Overall, I enjoyed it enough that I might pick up more, but not enough that I’m going to be in a hurry. Allingham was a capable writer, but Campion’s not interesting enough to me to follow him compulsively. This is a pretty good whistle-stop tour of some important, influential, or particularly interesting fantasy novels. I’ve got two pages in my notebook scrawled full of books to try now, and reminders of stuff I want to go back to. It’s a very accessible little book; it begins with an essay about the origins of fantasy, includes a glossary of various terms which can get confusing (the differences between sub-genres, for example) and a lot of extra suggestions after each book for further reading. Normally, this sort of book doesn’t interest me much because they always pick the same novels. Well, this one had a fair amount of the staples on it — Tolkien, of course, C.S. 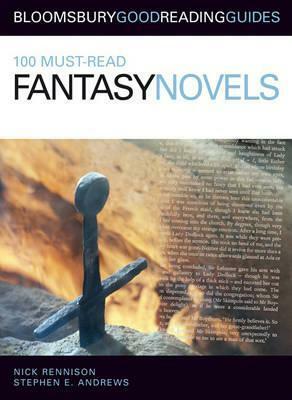 Lewis, Ursula Le Guin, Lewis Carroll, Michael Moorcock — but it did have some others which surprised me — Megan Lindholm, for example, listed under that name and not as Robin Hobb — and some pretty recent ones too. It doesn’t claim to show us the best of fantasy fiction, which is a good plan, to my mind — only books which are worth reading. Not exactly groundbreaking, but worth a flick through at least. Excuse me, I’m off to look up some ebook prices. I think it’s an honest and earnest attempt to think about Mary as a person, not as the sort of demi-goddess we’ve made of her. To think of her as a woman, a mother, and as a mortal, as someone of quiet faith and love for her son. 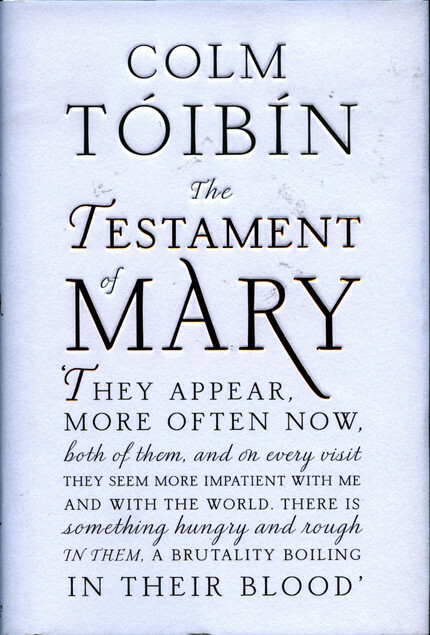 Tóibín’s Mary isn’t a believer, really; she doesn’t see what Jesus does as proof of miracles, she’s not exactly sceptical but is concerned about what is done to Lazarus, she doesn’t seem to believe he’s the son of God. She resists the urge to find meaning in what’s done to him. She’s even human enough to leave the site of the crucifixion to save her own life. The book is her telling her story, quietly, with certainty, knowing it won’t survive or rival the story Jesus’ followers want to tell — i.e. what we know as the Gospels — but because she needs to voice her truth. Parts of the story didn’t really work well for me, the semi-imprisonment she has where she’s looked after by Jesus’ disciples, for example, but overall I found it moving — in a quiet, understated way. These are the emotions of a woman who has lost her son, quiet and traumatised, not the mother of a martyr, a saviour. Which is fine and worthy, from my point of view, but I think other people object to that. It’s a very slim book, and I’m not entirely sure why it was shortlisted for the Man Booker: it’s not that powerful a story, though it has its moments. But it is worth a read if the idea interests you — it certainly won’t take too long. The Gutenberg Revolution is a really easy read, with a pretty chatty style that doesn’t undermine the material, but does make it easy to digest. I read it on the train — like some other people I see reviewing it, actually — and it was interesting enough to hold my attention from start (in Cardiff Central) to finish (somewhere between London and Lille). It begins by exploring the man who invented moveable type, Johann Gutenberg, and the context he was born into and grew up in. 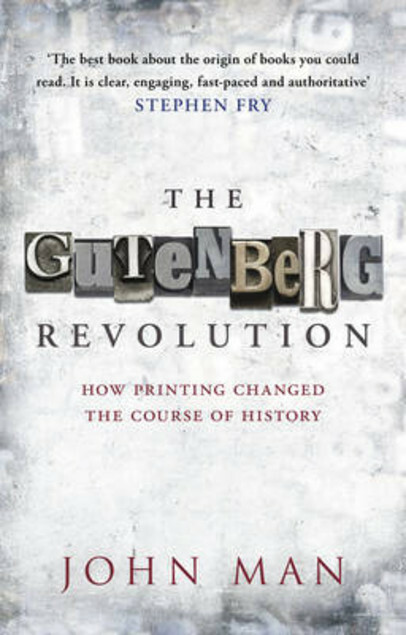 It isn’t all about Gutenberg specifically, though: it talks about the people he was involved with, or could’ve been involved with, in the endeavour — and most of all, about the revolution that was printing and how it became a force for social change, particularly the Reformation. There’s quite a good bit about Martin Luther, as well as some other interesting titbits about how the printing press went on to be used. There’s a bit about Caxton, which is particularly interesting to me given my interest in Arthuriana (even if Sir Thomas Malory is far from my favourite). John Man’s enthusiasm for the subject comes through perfectly, and I like that he chose a type setting (Poliphilis) for the book related to one of the stories he wanted to tell. It’s a pretty clear and easy to read font from my point of view, though I’m not sure how it’d be for someone with sight problems. Still, I enjoyed it — the book as a whole, of course, but also this specific font. A Hole in the World isn’t a very mature story, and the writer has a long way to go, but I did find it pretty fun all the same. I loved the set of friendships going on between characters, the fact that not everyone had to be paired up, the fact that Bianca and Scotty are best friends and say “I love you”… That aspect of it made the story feel more mature than it could have done, because it wasn’t all about Bianca and Alexandra, and while it has a happy ending, it’s not all wish fulfillment. People get hurt along the way. Aspects that felt immature were the focus on things like iPods and brand names, naming specific songs, etc. It made it very much of its moment: it’s not a story that will be timeless. The writing style itself needs sharpening up, and a good editor could probably transform it. And then there’s obviously the age of the characters — I’m a bit past giggling and “ommggg you have a cruuuush”, or I’d like to think so, at least. But it’s still a fun little adventure story, and definitely worth the 77p I spent on it. It’d be 2/5 stars for technical merit alone, at best, but I enjoyed reading it. Three stars!